CloudCalc, Inc. would like to invite all those attending this year’s annual State Convention of the Structural Engineer’s Association of Texas (SEAoT) to visit us in Booth 47. To support the structural engineering community, through continuing education, technology transfer, advancement of building code provisions, strengthening registration requirements, and enhancement of public awareness of the services provided by our members. The SEAoT State Conference is considered to be the state’s premier technical conference and is a “must attend” for SEAoT members as well as other professional Structural Engineers practicing in Texas. The Conference provides an unparalleled opportunity to learn about new technology, materials and applications from an impressive lineup of speakers. Delegates will also have the opportunity to earn up to eleven Professional Development Hours of continued education credits during the Conference. CloudCalc, Inc. would like to invite all those attending the annual State Convention of Structural Engineer’s Association of Texas (SEAoT) next month to visit us in Booth 28. 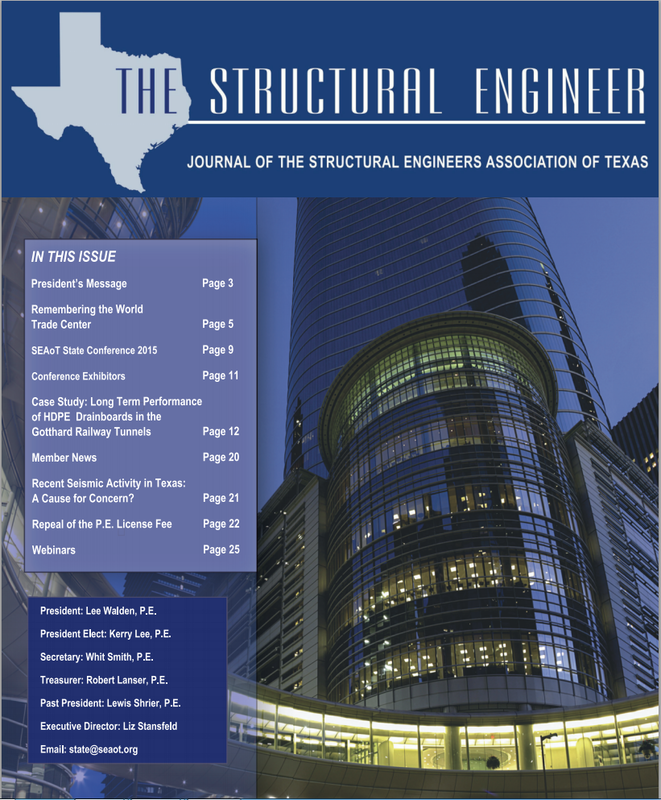 “Engineering or Art – Why Not Both”, an article Tom Van Laan, CEO of CloudCalc, was published in the Winter 2015 Journal of SEAoT, the Structural Engineers Association of Texas.